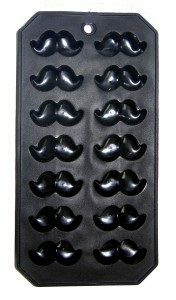 Moustache Ice Cube Or Candy Mold Only $4.49 Shipped! You are here: Home / Great Deals / Amazon Deals / Moustache Ice Cube Or Candy Mold Only $4.49 Shipped! We love the fun and whimsical and this Moustache Ice Cube Or Candy Mold Only $4.49 Shipped is a great addition to our kitchen! Perfect for making fun novelty ice cubes for parties, cute jello molds for parties or even delectable peanut butter filled chocolates for a special bachelors party. Grab this and other great deals every day at Amazon!